CIGPET ECO series is compatible with CIGPET ECO12/ SMOK TFV12. Three material and resistance value for your selection. 3pcs each pack. Get them as spare parts. CIGPET ECO-Q4 is compatible with CIGPET ECO12/ SMOK TFV12. 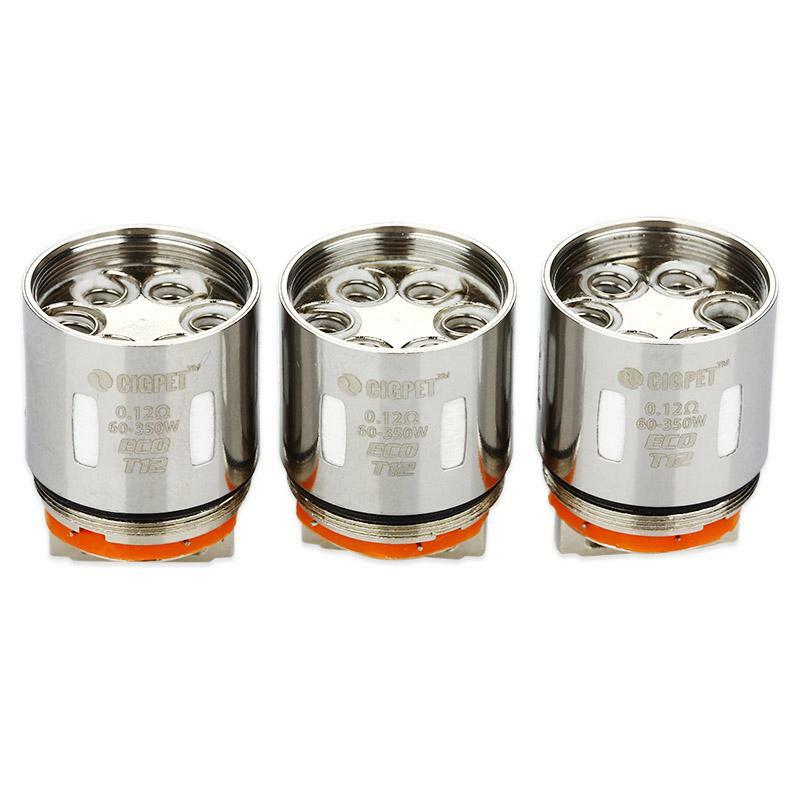 ECO-Q4 is a quadruple coil with 0.15ohm resistance, which supports 60-180w power. ECO-T12 is a duodenary coil with 0.12ohm resistance, which supports 60-350w power. ECO-T14 is a 0.12ohm coil, which supports 60-360w power. ECO-T16 is a hexadecimal coil with 0.11ohm resistance, which supports 60-400w power. ECO-X4 is a quadruple coil with 0.15ohm resistance, which supports 60-200w power. 3pcs each pack. • It's for CIGPET ECO12 Tank. • Also compatible with SMOK TFV12 Tank. I can get the smoothest airflow and best flavor with ECO-T16 coil. The Q4 and X4 coil fits me best. ECO-T16 can support maximum 400 watts, my God. I usually vape at 80W. ECO-T16 with 16 coils is the most powerful atomizer head I have by far. It wors good with my TFV12, nearly the same performance as my smok coils.